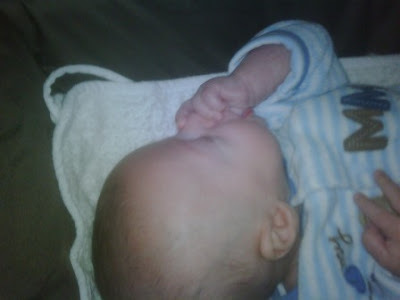 There I was, changing Max’s diaper….and I look up, and he’s found his thumb! Not only that, but he has the cute “curl the fingers over the nose” pose!! Okay, seriously, you guys do have the cutest baby alive.